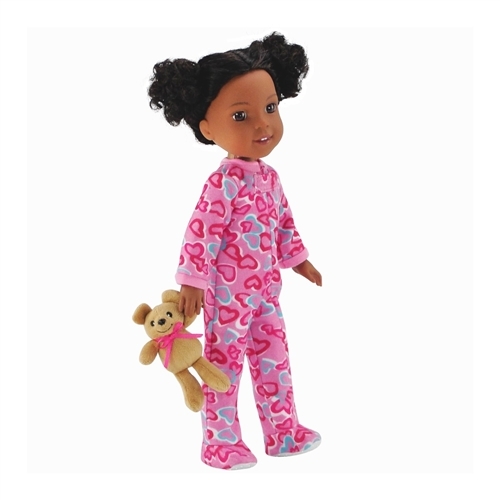 Show your 14 inch doll how much you love her with these perfectly sized, soft footed pajamas. She will be toasty warm all night long! BONUS! Also included is a cuddly teddy bear with matching pink ribbon to keep her company at night. 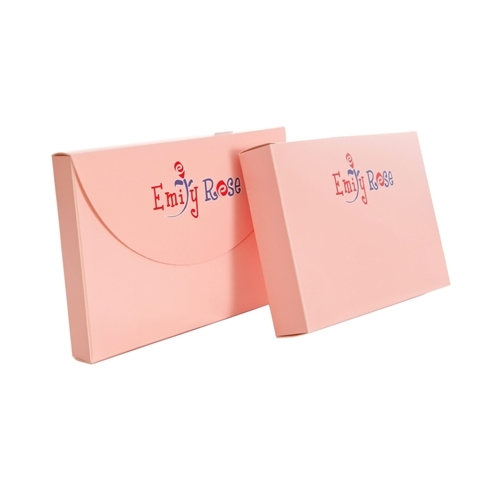 This awesome doll PJ outfit comes packaged in our special pink Emily Rose gift box and is perfect for your 14 inch doll's next overnight party! Full zipper closure makes dressing a breeze! Doll clothing made to fit 14-inch dolls such as American Girl Wellie Wishers ®, Hearts For Hearts Girls and other similarly sized dolls. Your 14" doll will be super warm and ready for bed in these pink long sleeved footed heart pajamas with invisible front zipper for easy dressing. Includes adorable 14 inch doll sized teddy bear as a snuggly companion.